The only band to come along after with such swagger and ambition was Manchester’s Oasis. I grew up in the 1970s, when Led Zeppelin was nearly ubiquitous on the radio. It was rare for an hour to go by without “Stairway to Heaven” or “Whole Lotta Love” getting a spin. Zep was at one time extremely outré in my world – bands like The Smiths, New Order, the Replacements, and the Violent Femmes offered a different take on rock n’ roll. It probably goes without saying that I was a big Elvis Costello fan at one juncture, and he was not exactly what you’d call a Zep fan. But time heals all youthful transgressions, and in the 2010s, Zep was ripe to revisit. There’s really no way around it: In terms of scope and ambition, musical skill and adventurism, Zep was untouchable during its prime, from 1970 until about 1975, the period of the band’s first four albums: I, II, II, IV. The overall vibe of the whole lad-rock thing was, to my eyes and ears, even stupider than the many, many swaggering post-Zep experiments that completely missed the dynamic nature of Zep’s music. The problem with this particular line of rock is that the lineage isn’t always going to be comfortable. Zep was a departure from the Stones and The Beatles, and the relationship between the four members was much more productive, if less dazzling, than what one witnessed in more volatile bands, such as Cream. Oasis is going through a bit of a revival at the moment, with both Liam and Noel releasing new individual albums and Liam really bringing it at the “One Love Manchester” concert to mourn the victims of the terrorist attack at an Arianna Grande concert. Noel skipped that event, and the viciously entertaining rivalry between the brothers began anew. Just like the mid-1990s. Prior to all this, I’d decided to give the entire Oasis catalogue a re-listen. I give you their 2005 appearance in their home town as proof. I never saw Oasis live, so this was the concert that really pushed me over the edge from having a pretty sceptical if not dismissive stance toward the group to basically getting it. Everything clicks, from Liam looking improbably cool in a naff white bucket hat to Noel looking about as cool as it’s possible for Noel to look, in trim black leather, next to his much cooler younger brother. The band’s signature, elevating mass of sound, verging at all times on noise but somehow blissfully melodic and routinely transporting, is at all times in evidence. 2. Oasis really knew how to organise an album for maximum impact. I give you their 1994 debut, “Definitely Maybe,” as Exhibit A.
It’s a bit hard to imagine, in the midst of mid-1990s music culture, much of which was quite dark, edgy, gloomy, confrontational, and alternative, to encounter the blistering opening track, “Rock ‘n’ Roll Star.” Well, I guess we knew what these guys had in mind. Declarations are one thing, execution another. 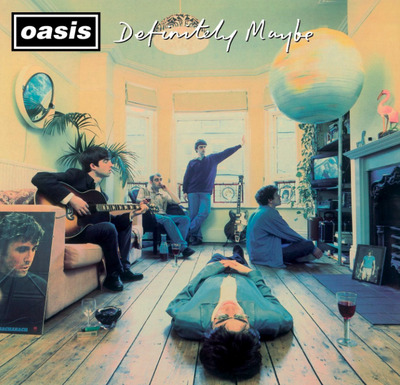 And “Definitely Maybe” showed Oasis’ incipient talent for crafting a track-list for maximum effect. “Live Forever,” “Supersonic,” and “Cigarettes & Alcohol” define the propulsive, anthemic nature of the rest of the sequence, which is rarely less than mind-boggling in its ambition. 3. Noel and Liam haven’t mellowed. But not that much, except to say that Oasis when it was huge was defined by conflict – endlessly entertaining conflict. True, the never-ending tabloid sniping showed that Noel and Liam were hip to an emerging celebrity-entertainment axis that fans of say, Bob Dylan, would sneer at. 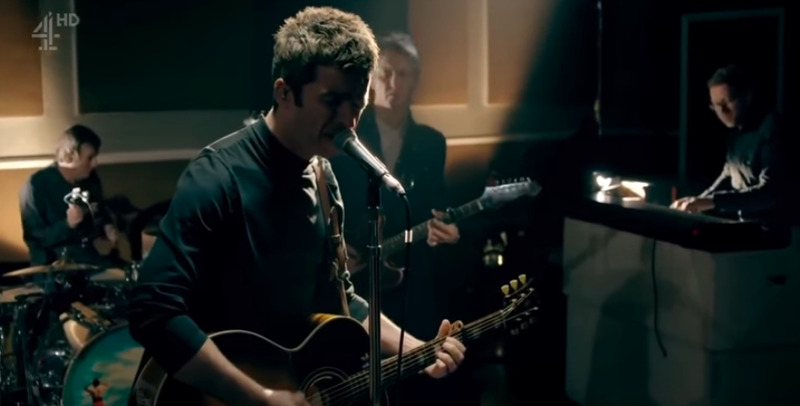 Just check out Liam’s recent diss of Noel’s stature – to schoolchildren. 4. Johnny Marr was the band’s first big fan. “Attitude” was what the former Smiths guitarist and fellow Mancunian said of Liam when he first witnessed the boy’s laddish spectacle. You could certainly say that The Smiths and Oasis occupy different universes, but you also have to give Marr – a lifelong foe of rock-stardom – to recognise the real thing when he saw it and decide not to fight it, but rather nurture it. 5. Noel’s songwriting isn’t for everybody, but it’s genius. 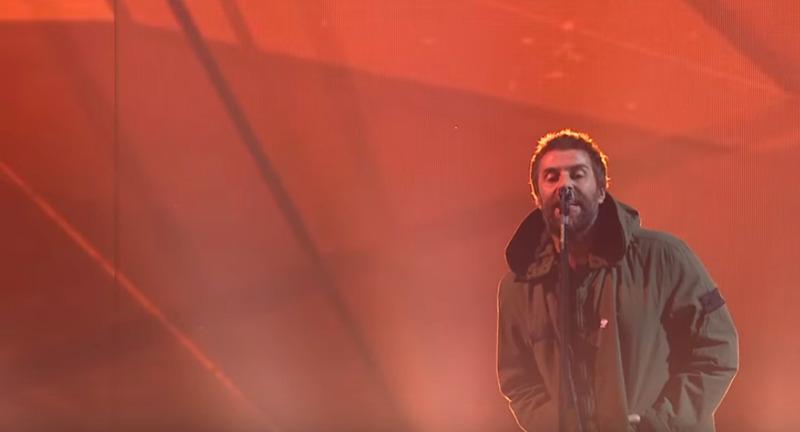 For what it’s worth, as Liam’s 2017 solo album, “As You Were,” amply demonstrates, the kid can write a nice tune. 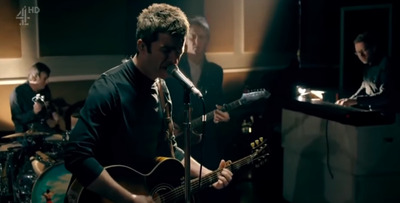 But Noel is a fine, fine songwriter in the rock-pop vein, and he has the credits to prove it, both with Oasis and with his new group, the High Flying Birds. Now, mind you, if Robert Hunter is your idea of a great songwriter, then Noel Gallagher isn’t. But what Noel is great at – as he himself puts it – is writing a song that the listener can make mean something in his or her own mind. Parkas, Beatles specs, and standing stock still in a crouch while wailing upward into a raised mic, Liam was a pillar of ‘tude amid the swirl of sound that Noel was helming. There have been some impressive harmonica players over the years, but in rock, it’s usually the guitar players and drummers, and very infrequently the bassists (the Red Hot Chilli Peppers’ Flea leaps to mind), who have commanded the instrumental attention. I always figured he got the idea from Ian Brown, the frontman of the seminal Manchester band The Stone Roses, who often sported a pair of jingle sticks, but I’ve got no evidence to back up my claims. Liam, front and center, used the tambourine like an orchestra conductor’s baton. To great effect. “Don’t Look Back in Anger” is their most beloved song and has become something of an anthem for Manchester. Interestingly, it also marks a break in the band’s extremely complicated fraternal dynamic, as it was the point at which Noel starting singing, too. The song was released in 1996 on Oasis’ monumental “(What’s the Story) Morning Glory” album, and over the course of several decades, it’s jousted with “Wonderwall” and “Champagne Supernova” (both of which appeared on the same LP) for dominance in the group’s catalogue. It’s just one of THOSE songs. With a few exceptions, the idea of being in a gigantic rock band isn’t an ambition that the majority of young musicians angle for these days. That’s understandable, given that the last thing most labels want to do is send five youths and all their gear on tour for a year or more. Oasis remains the Last Big Band, and there might not ever be another one. As I learned at a recent Fender guitar panel on the future of music, we now live in the era of the streamed playlist. Oasis certainly wound up on plenty of pre-streaming playlists, but the band’s impact would have been impossible without the album format and widespread radio play. Zep’s legend was bases on their gigantic records, bootlegs of their live shows, and the fact that they were the first true mega-group. Oasis upped that by being the big band of the late television age, before the internet changed everything. The sheer scale of what they hoped to achieve – and actually did achieve – makes them a source of endless fascination. 10. They looked cool as f–k. And they actually look cooler as f–k now that they have aged and taken on some chic elderly edge. To both Noel and Liam’s credit, they’re also stuck with their style over the decades. It wasn’t just the Gallagher Bros. Bonehead and Guigsy also looked cool, in their way, and the band’s late-career art direction was typically superb. And yes, you could argue that the lineup changes and intra-band feuds mean that Oasis can’t match Zep and its unchanging decade-long lineup. You could also argue that the Zep-Oasis succession is pointless, because Zep was always huge in the US while Oasis was huge in the UK. But then again, Zep also tended to look pretty cool – Who can forget Jimmy Page’s black dragon suit? Where Oasis really nails this one is in looking cool ALL THE TIME. Even now at age 45, Liam is never spotted out of character.